It’s not all about money. Sounds like a George Bailey quote from the holiday classic It’s a Wonderful Life, but it’s also the logic behind the concept of “sustainable and responsible investing,” a money management strategy that looks into the social, political and environmental track records of companies when making investment decisions. As director of the Oneida Trust Enrollment Department, it’s a philosophy Susan White, a citizen of the Oneida Nation of Wisconsin, champions not only at work but also in life. 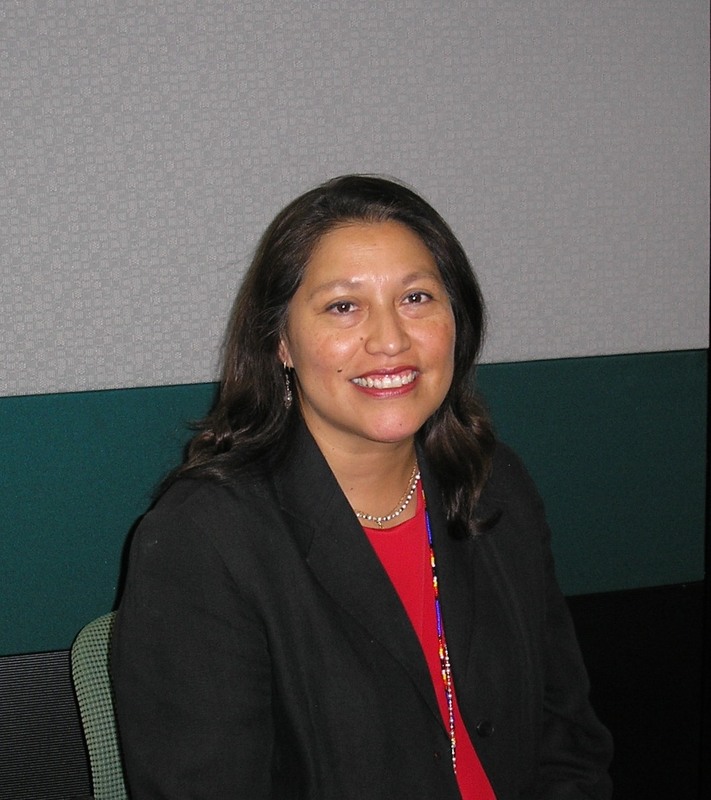 She directs a multi-operational department in capital strategies for protection and growth of trust assets and for management of the Oneida Nation’s census records. White maintains the trust’s sustainable and responsible investment (SRI) philosophy by coordinating shareholder activism for Indigenous peoples’ rights and well-being when affected by corporations. She is also responsible for the maintenance and protection of tribal citizen records for the elected Oneida Trust Enrollment Committee. Overseeing a deep pool of tribal investment portfolios that has grown considerably over the past two decades, White carries a strong voice across Indian Country and beyond. There’s a big stage for tribes that want to influence corporate America and exercise sovereignty through shareholder activism. While addressing issues ranging from excavation of Native burial sites by superstores to stereotyping of Native American imagery in college and professional sports, White has engaged major corporate players. As a result, companies like Honeywell, Peabody Energy, Bank of America and FedEx have reexamined not only their own business practices but also those of industry peers. She admits that securing support for causes such as the Washington NFL team’s name-change can be a daunting challenge, but she doesn’t lose sight of her goals. Later in 2011, White received the SRI Service Award and was recognized by her colleagues for her professionalism, ethics and success raising awareness of responsible investing. She was a speaker at Native American Finance and National Aboriginal Trust Officers Association conferences and the SRI Conference. Her work to engage and change corporate interests detrimental to Indian Country is truly making a difference. White started her career in the financial industry in 1987, and began working for the Oneida Nation in 1994. With the advent of Indian gaming, she built the Trust Enrollment Department to be a pivotal function in the Oneida Nation’s infrastructure by developing the trust funds as an endowment vehicle to fund scholarship programs, other departments, and a nationwide life insurance policy for all Oneida citizens. To say White has a full plate is an understatement. “Oneida calls it Yukwatsistay^ which means “our fire, our spirit within each one of us.” The Creator gave me extra, I think,” said White. A typical day might find the Old Dominion University alum presenting to tribal elders about their trust investments, collaborating on a quarterly newsletter to youth beneficiaries, negotiating lower fees from investment managers, and tirelessly forging partnerships among an extensive network of local banks, tribal departments and universities. When she makes financial presentations, she enjoys discussing traditional Oneida cultural tasks such as planning ahead and farming to make financial concepts relatable. With all that White is responsible for, she keeps focused on the big picture and relishes all the accomplishments along the way. “Reaching certain milestones, even when no one else realized them. I am optimistic and remind my teams of our hard work and how we got to this point. Seeing policy change for the better, receiving awards, ceremonies, and receiving assistance from national Native organizations means that they see you and will assist in your efforts for the betterment of Indian Country work. Now that’s great validation!” said White. She likes that more Native women are getting involved in the financial industry, and reflects on what she’s learned over the years. “Create stability in your work environment with your staff, and provide authoritative and governmental support. Without these things, it is easy to get lost in the turnover of tribal leadership and priorities, but not your own. Be sure to always groom successors to pass along what you’ve learned and experienced,” said White. Aside from her career, White is also active serving as co-chair for the Investors and Indigenous Peoples Working Group, the Women’s Fund of Greater Green Bay Emeritus, the Oneida Auxiliary Veterans of Foreign Wars Post 7784, a trustee for the Episcopal Diocese of Fond du Lac, the American Foundation for Counseling Services Ethics in Business Selection Committee, and, formerly, a member of the Board of Directors of First Nations Development Institute. “I feel First Nations is the ‘go to’ in Indian Country. I am proud to be associated with First Nations, its board, staff, and the many programs they are involved in,” said White when she originally joined the Board. She resides in Oneida, Wisconsin, with her husband and two sons. She enjoys cooking and family gatherings. The youngest daughter in a military family with five siblings, she didn’t have a chance to learn how to cook while growing up, but has since honed a formidable set of culinary skills from watching cooking shows. Never far from her roots, she’s a senior warden at the same church where her parents were married and enjoys cheering for local teams like the University of Wisconsin Badgers, the Milwaukee Brewers and, of course, the Green Bay Packers. This entry was posted in Uncategorized by rblauvelt. Bookmark the permalink.